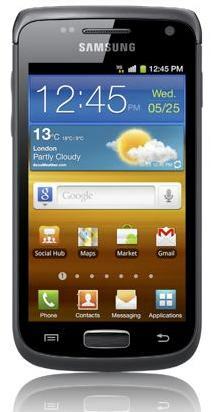 Some new Galaxy handsets have been added by Samsung which seem to be smaller siblings of the original Galaxy S II. 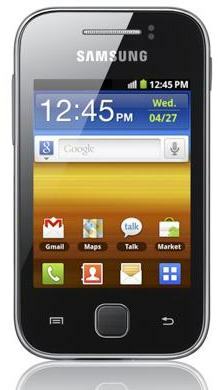 All of them will be running on Android Gingerbread and a few other details of the handsets have been revealed. First is the Galaxy W, which has a 1.4GHz processor, a 3.7 inch, 800 x 480 touch screen (no AMOLED, just TFT LCD), a 5MP camera, 3G HSDPA, Bluetooth 3.0, Wi-Fi and a 1500mAh battery. 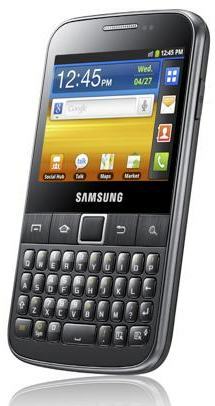 The Galaxy Y is a smaller version of the W with a 3 inch 320 x 240 touch screen, an 832MHz processor, a 2MP camera, 3G HSDPA, Bluetooth 3.0, Wi-Fi and a 1200mAh battery. It will be launched in a variety of colours. Next is the Galaxy Y Pro which doesn’t have much info, but is rumoured to be having the same specifications as the Y only with a full QWERTY-keyboard. 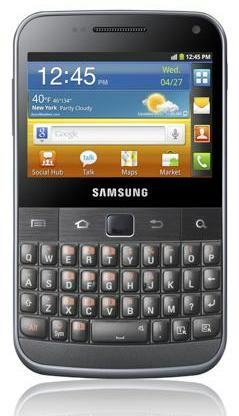 Lastly, the Galaxy M Pro which is a slim QWERTY smartphone with a 2.66-inch TFT LCD touch screen with a 480 x 320 resolution, an optical track pad, a 1GHz processor, a 5 MP rear camera and a VGA resolution front camera,3G HSDPA, Bluetooth 3.0, Wi-Fi and a 1350mAH battery. Samsung is also offering a variety of enterprise solutions, including Exchange Active Sync, Sybase Afaria, CISCO Mobile and CISCO WebEx. The handsets will be showcased at the IFA 2011 expo in Berlin next week.